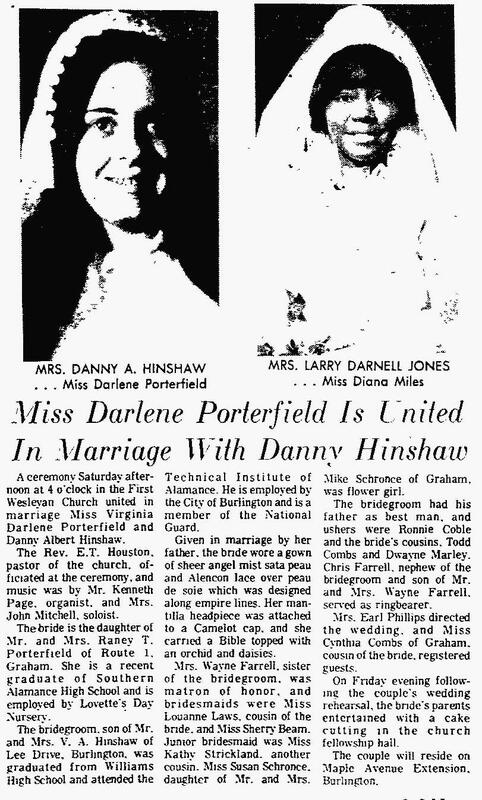 Danny and Darlene's marriage was announced in the "Times-News" (Burlington, North Carolina) on Monday, June 10, 19742 (see scan below). 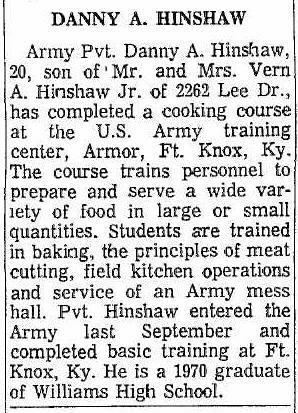 "Times-News" (Burlington, North Carolina), Jun 10 1974; http://www.ancestry.com. North Carolina Divorce Index, 1958-2004; http://www.ancestry.com. "Times-News" (Burlington, North Carolina), Feb 28 1972; http://www.ancestry.com.